Bush and the CIA’s Fraud Conspiracy Exposed. Today, the TRUTH they all thought would stay buried. As part of the on-going saga of scheming perpetrated against so many trusting investors like Edward Falcone by Bush Senior and his cohorts, we are now exposing new information as the prosecution evidence is being assembled and the case moves towards the first writs being served and potential arrests being made. Mr.Falcone has the signed Bush contract with Don Nevin, passport copy attached, representing Bush in the contractual undertaking. A bonfire of arrogance may await them when the punitive damages are assessed. Aligned to the missing TARP Funds and all indications of failed Infrastructure Projects, a lot of questions are already arising with the Political control of DC and State funds. The criminal actions now unfolding will end a few careers. Having stolen vast Billions previously from Mr.Falcone, Bush Sr, operating via Don Nevin, fronting for his brother David Dewhurst Lt. Governor of Texas who was instrumental in setting up the contract for Bush using Don Nevin, then tried to induce Edward Falcone to put up a further $500 million dollars into a joint Monaco Bank account. Lt. Governor David Dewhurst, operating through his brother Don Nevin assured him it would facilitate the immediate release of the long overdue funds owed to him. This was against their original Settlement agreement which they had also breached 2 years previously. An agreement negotiated and signed by ex-President George W. Bush before he left office and then recorded with the CIA for Leon Panetta to perform against. Bush Sr, his associates and the CIA, had previously ordered the release of settlement money to Mr. Falcone by sending out 5 CHIPS (Clearing House Interbank Payments System) allocated in his name for trading as the beneficiary, for payment owed to him which he also never received. His CHIP funds were diverted in delivery and used by the conspirators to circumvent him, directed instead to multiple bank platform accounts of their own for trading Medium Term Notes, using his named CHIP funds for their own benefit. The attorneys and investigators hold this evidence: records, Traders’ names, amounts and trades. They stole his lawful entitlement of profits and continued to further utilize his cash accounts and CHIPS in conjunction with HSBC, Josef Ackermann Chairman of Deutsche Bank, Bush Sr, Bush Jr, the CIA, Paulson and Greenspan, time after time. There were also further parties participating in addition for each of the individual CHIPS. The profits accrued from Falcone funds for the CIA have been predominantly directed to Barclays Bank and Citibank, Singapore. The Bank of England’s own cross involvement will also be exposed in this sordid chain of events. Bush Sr. and the many guilty parties have multiple bank accounts around the world which are currently being monitored, ready for Congressional, Prosecution and developing mainstream media exposure. Bank Officers will attest to Congress and the Courts. Worse, so will numerous parties now cross entangled to save themselves, as we will display. Michael Herzog, an associate of both the Bush and Clintons, has already threatened on record if he is made to pay back his share of what was stolen from Edward Falcone, he will expose all his records of multiple Bush conspiracies he fronted for them over many years. When thieves fall out? 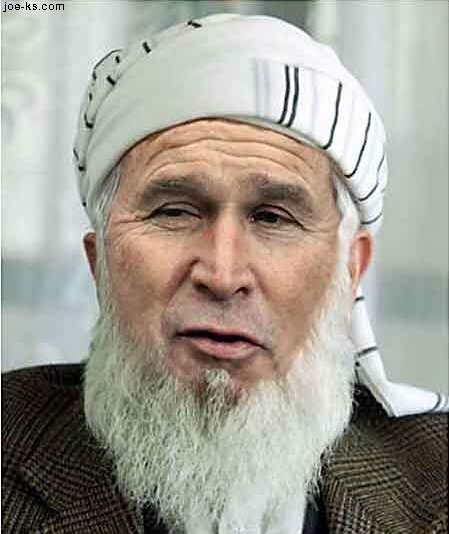 Bush commandeered United States Government planes using CIA agents to fly around the world over 10 weeks. The sole agenda of the Bush directed Agency team was to move money from bank to bank, changing their offshore bank records to attempt to hide and falsify the trading records from Falcone’s pursuing investigators. All now identified with incriminating records waiting for Prosecutors to confront and indict this CIA Agency laundering team. Prior to the last election, Public approval rate for Congresses had slumped to only 9%. That means 91 out of every 100 Americans had lost confidence in their Congressman and considered “The Hill” not fit for purpose to execute the Constitution and the Laws of the United States. If we allow endemic abuse of one American then we all lose. By taking this campaign up to Congress to investigate, will restore America’s faith in The Hill. We have offered Congress a Prime example of corruption, endemic abuse of privileged positions by Senior Government and CIA Agency Officers, Bankers and the failures of Regulatory agencies such as the FBI, Homeland Security and the US Federal Reserve, to uphold the law and investigate clear abuse. These agencies, who are dominated by the same people, are sadly compromised, denying justice for the Bushes, their associates and their transgressions. What we are portraying is happening live, it is happening today, it is happening in our America, and it is happening to our own people … our fellow Americans. Texas, Lt. David Dewhurst and his brother, Don Nevin, are both now being challenged with so much about to break regarding incriminating signed contracts and letters. Mitt Romney is being challenged on his Presidency campaign trail, so his vetting problems increase for the same reason he was denied an opportunity for the Vice Presidency with John McCain. Joe Biden is being protected by Obama and the Bushes, but it won’t stop the wrath of the Global media which is building. When the dam breaks, just remember Watergate! This is so, so much bigger! Does Congress even understand what has happened to Edward Falcone is happening on a vastly larger scale perpetrated by the same player? The Falcone story is only one of the many stories just like it that we are tracking and waiting to present to Congress and the Court system. Our case is simple. It’s not about one man. It’s a basic case of our Law needing to encompass all particularly former and current Presidents. The political axiom at work is “Big fish eat little fish.” There’s not enough tax money to continue swelling the fortunes of the super-rich pretending to save enough to pay the pensions and related social support that North American and European employees have been promised. Something must give – and the rich have shown themselves sufficiently foresighted to seize the initiative. For a preview of what’s in line for the United States, watch neoliberal Europe’s fight against the middle and working class in Greece, Ireland and Latvia; or better yet, Pinochet’s Chile, whose privatized Social Security accounts were quickly wiped out in the late 1970s by the kleptocracy advised by the Chicago Boys, to whose monetarist double-think Mr. Obama’s appointee Ben Bernanke has just re-pledged his loyalty. 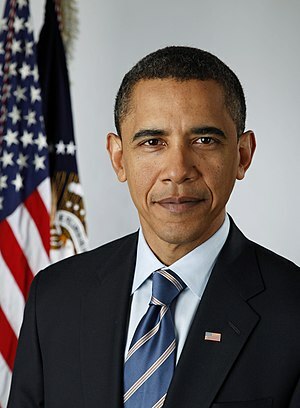 What is needed to put Mr. Obama’s sell-out in perspective is the pro-Wall Street advisors he has chosen – not only Larry Summers, Tim Geithner and Ben Bernanke (who last week reaffirmed his loyalty to Milton Friedman’s Chicago School monetarism), but by stacking his Deficit Reduction Commission with outspoken advocates of cutting back Social Security, Medicare and other social spending. Their ploy is to frighten the public with a nightmare of $1 trillion deficit to pay retirement income over the next half century – as if the Treasury and Fed have not just given Wall Street $13 trillion in bailouts without blinking an eye. President Obama’s $750 billion tax giveaway to the wealthiest 2% is mere icing on the cake that the rich will be eating when the bread lines get too long. To put matters in perspective, bear in mind that interest on the public debt (that Reagan-Bush quadrupled and Bush-Obama redoubled) soon will amount to $1 trillion annually. This is tribute levied on labor – increasing the economy’s cost of living and doing business – paid for losing the fight for economic reform and replacing progressive taxation with regressive neoliberal tax policy. As for military spending in the Near East, Asia and other regions responsible for much of the U.S. balance-of-payments deficit, Congress will always rise to the occasion and defer to whatever foreign threat is conjured up requiring new armed force. This means that what appears at first as “helping homeowner” afford to pay mortgages turns out merely to enable them to afford to pay more interest to their bankers. The tax giveaway uses homebuyers as “throughputs” to transfer tax favoritism to the banks. What we need is a Futures Commission to forecast just what will the rich do with the victory they have won. As administered by President Obama and his designated appointees Tim Geithner and Ben Bernanke, their policy is financially and fiscally unsustainable. Providing tax incentives for debt leveraging – for most of the population to go into debt to the rich, whose taxes are all but abolished – is shrinking the economy. This will lead to even deeper financial crises, employer defaults and fiscal insolvency at the state, local and federal levels. Future presidents will call for new bailouts, using a strategy much like going to military war. A financial war requires an emergency to rush through Congress, as occurred in 2008-09. Mr. Obama’s appointees are turning the U.S. economy into a Permanent Emergency, a Perpetual Ponzi Scheme requiring injections of more and more Quantitative Easing to to rescue “the economy” (Mr. Obama’s euphemism for creditors at the top of the economic pyramid) from being pushed into insolvency. Mr. Bernanke’s helicopter flies only over Wall Street. It does not drop monetary relief on the population at large. The transfer of authority came a day after President Barack Obama announced the shift from combat operations to preparing Iraqi forces to assume responsibility for their own security. Obama made clear in Tuesday’s speech that this was no victory celebration. A six-month stalemate over forming a new Iraqi government has raised concerns about the country’s stability and questions over whether the leadership can cope with a diminished but still dangerous insurgency. Newly promoted Army Gen. Lloyd Austin also maintained a somber tone as he took the reins of the some 50,000 American troops who remain in Iraq, with a deadline for a full withdrawal by the end of next year. “Although challenges remain, we will face these challenges together,” Austin said during the ceremony at the opulent al-Faw palace of ousted dictator Saddam Hussein. Austin, who most recently served in Iraq as commander of troop operations from 2008-09, replaces Gen. Ray Odierno, who is heading to Virginia to take over the Joint Forces Command after about five years in Iraq. 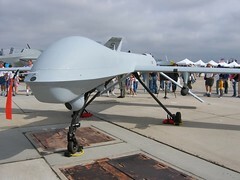 Vice President Joe Biden, Defense Secretary Robert Gates, and Joint Chiefs Chairman Adm. Mike Mullen presided over the ceremony, which was held at the main U.S. military headquarters on the southwestern outskirts of Baghdad. Gates, visiting American troops in the Iraqi city of Ramadi Wednesday, said history will judge whether the fight was worth it for the United States. Iraqi Foreign Minister Hoshyar Zebari said his country is grateful for what the Americans have done, but it is now time for Iraqis to secure their own future. “We appreciate the sacrifices the U.S. military and the American people made while standing with us in these very, very difficult times,” Zebari told The Associated Press in a phone interview. “The war for Iraq’s future is ongoing and it should be fought and won by the Iraqi people and their leaders,” Zebari said. Obama acknowledged the ambiguous nature of the war in which American forces quickly ousted Saddam but were never able to fully control the Sunni Muslim insurgency against the Shiite-dominated establishment that even now threatens to re-ignite. Still, he said the time had come to close this divisive chapter in U.S. history. Avoiding any hint of claiming victory in a war he once called a major mistake, the president recognized the sacrifices of America’s military. 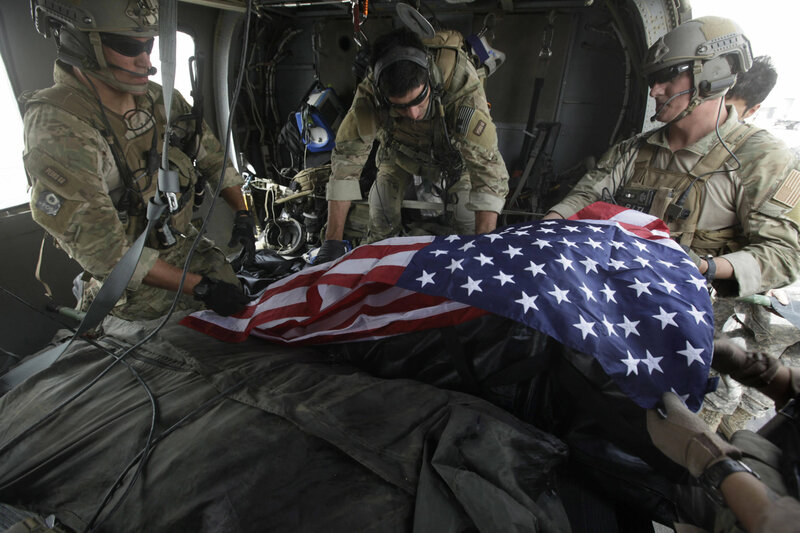 More than 4,400 American troops and an estimated 100,000 Iraqis were killed at a cost of billions of dollars. Iraqi Prime Minister Nouri al-Maliki, a Shiite, said Tuesday the end of U.S. combat operations was a return to sovereignty for the battered country and he reassured his people that their own security forces could defend them. Iraqi forces on Wednesday appeared to be on heightened alert, spread out at checkpoints across the city intended to reassure the populace and ward off insurgent attacks. Just under 50,000 U.S. troops remain in Iraq — down from a peak of about 170,000 at the height in 2007. Those forces will not be able to go on combat missions unless requested and accompanied by Iraqi forces. But drawing a line between what is and is not combat may not be easy. All American forces carry weapons and they still come under attack from insurgents near daily. Earlier this month, for example, Sgt. Brandon E. Maggart, 24, of Kirksville, Mo. was killed near the southern city of Basra on Aug. 22 — a few days after the last combat brigade rolled across the border into Kuwait. Iraq is also far from the stable democracy once depicted by the Bush administration and hoped for by Obama when he laid out his timeline for withdrawing American troops shortly after he took office in 2009. Half a year has passed since Iraq’s March 7 elections and the country’s political leaders have so far failed to form a new government. While Iraqis are generally happy to see the U.S. military pulling back, they are also apprehensive the withdrawal may be premature as militants hammer local security forces. Iraqis also say they fear their country may still revert to a dictatorship or split along religious and ethnic fault lines. AP National Security Correspondent Anne Gearan in Ramadi and AP Writer Barbara Surk in Baghdad contributed to this report. Now, as the U.S. military concludes its combat role — which President Barack Obama will formally announce from the Oval Office on Tuesday — Iraq is indeed a dramatic example for the Middle East, but not in the ways that Bush and his administration envisioned. Iraq did not become a beacon of democracy, nor did it create a domino effect that toppled other dictatorial regimes in the Arab world. Instead, the Iraq war has unleashed a new wave of sectarian hatred and upset the Persian Gulf’s strategic balance, helping Iran consolidate its role as the dominant regional power. The Bush administration argued that its goal was to protect U.S. interests and security in the long run. But the region is far more unstable and combustible than it was when U.S. forces began their march to Baghdad seven years ago. Throughout the Middle East, relations between Sunnis and Shiites are badly strained by the sectarian bloodletting in Iraq. Sunnis are worried about the regional ascendance of the Shiite-led regime in Iran; its nuclear program; its growing influence on the Iraqi leadership; and its meddling in other countries with large Shiite communities, especially Lebanon. Iran is the biggest beneficiary of the American misadventure in Iraq. The U.S. ousted Tehran’s sworn enemy, Saddam Hussein, from power. Then Washington helped install a Shiite government for the first time in Iraq’s modern history. As U.S. troops became mired in fighting an insurgency and containing a civil war, Iran extended its influence over all of Iraq’s Shiite factions. Today’s Middle East has been shaped by several proxy wars. In Iraq, neighboring Sunni regimes backed Sunni militants, while Iran supported Shiite militias. In Lebanon, an alliance between Washington and authoritarian Sunni Arab regimes — Egypt, Jordan, Saudi Arabia and other Persian Gulf countries — backed a Sunni-led government against Hezbollah, a Shiite militia funded by Iran. And in the Palestinian territories, Iran and Syria supported the militant Hamas, while the U.S. and its Arab allies backed Palestinian President Mahmoud Abbas and his Fatah movement. With U.S. influence waning and Iran ascendant, Iraq’s other neighbors are still jockeying to gain a foothold with the new government in Baghdad. For example, Saudi Arabia’s ruling Al-Saud dynasty views itself as the rightful leader of the Muslim world, but Iran is challenging that leadership right now. Although Saudi Arabia has a Sunni majority, its rulers fear Iran’s potential influence over a sizable and sometimes-restive Shiite population concentrated in the kingdom’s oil-rich Eastern Province. In Bahrain (another American ally in the Persian Gulf), the Shiite majority is chafing under Sunni rulers who also fear Iran’s reach. Even worse, the brutal war between Iraq’s Shiite majority and Sunni minority unleashed sectarian hatreds that are difficult to contain. This blowback has been most keenly felt in Lebanon, a small country with a history of religious strife. During Lebanon’s 15-year civil war, which ended in 1990, the sectarian divide was between Muslims and Christians. This time, the conflict is mainly between Sunnis and Shiites — and it is fueled, in part, by the bloodbath in Iraq. After Saddam was executed in December 2006, Sunnis saw the U.S. and the Shiite-dominated Iraqi government as killing off the last vestiges of Arab nationalism. 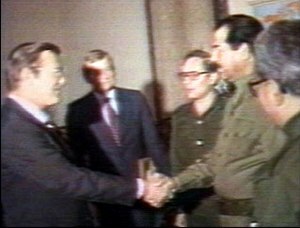 Although Saddam was once a dependable ally of the West, by the 1990s he was among the few Arab leaders who defied the United States and European powers. In the Sunni view, America and its allies eradicated the idea of a glorious Arab past without offering any replacement for it — other than sectarianism. In 2007 and 2008, Lebanese Sunnis felt besieged as they watched news from Iraq of Shiite death squads executing Sunnis and driving them out of Baghdad neighborhoods. At the same time, Hezbollah was trying to topple the Sunni-led Lebanese government by staging street protests and a massive sit-in that paralyzed downtown Beirut. In January 2007, as they confronted Hezbollah supporters during a nationwide strike, groups of Sunnis waved posters of Saddam and chanted his name in front of TV cameras. It was a rich contradiction: American-allied Sunnis in Lebanon carrying posters of Saddam, a dictator the U.S. had spent billions of dollars and lost thousands of lives to depose. But it was also a declaration of war. Saddam, after all, killed hundreds of thousands of Shiites in Iraq. Many Lebanese Shiites have relatives in Iraq, and the two communities have had close ties for centuries. Lebanon’s political factions eventually compromised on a new government, but the underlying sectarian tensions are still in place, with everyone keeping a wary eye on Iraq. As Iraq’s Sunnis, Shiites and Kurds argue over sharing power and the country’s oil wealth, violence is on the rise yet again. The latest elections produced a deadlocked parliament in Baghdad that has not been able to agree on a new government. Far from becoming a model of freedom and religious coexistence, Iraq remains a powder keg that could ignite sectarian conflict across the Middle East. Mohamad Bazzi is a journalism professor at New York University and an adjunct senior fellow for Middle East studies at the Council on Foreign Relations. 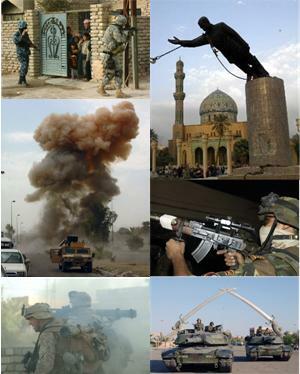 Posted in Truthout Articles | Tagged: George W. Bush, iran, Iraq War, Middle East, Saddam Hussein, Saudi Arabia, United States, United States armed forces | Comments Off on So, Who Won the War in Iraq? Iran.